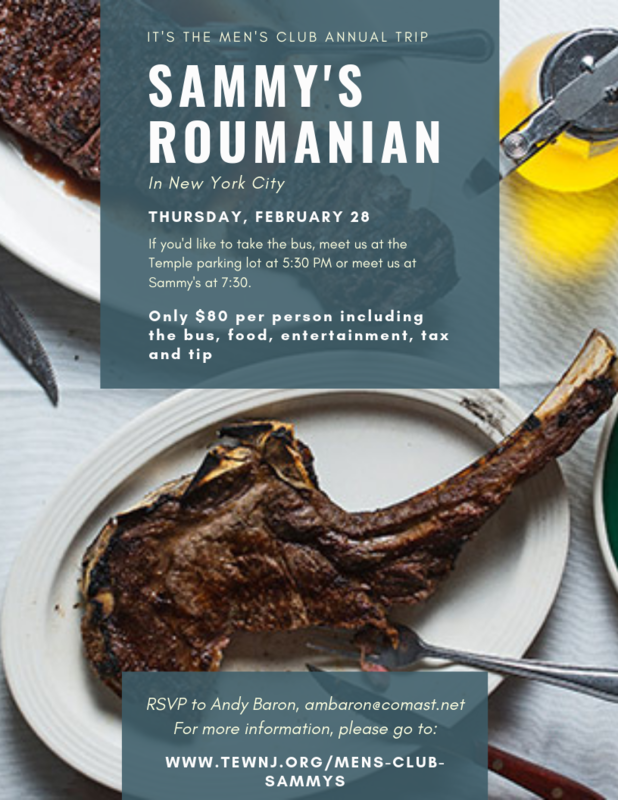 On Thursday, February 28th please join the Men’s Club of Temple Emanu-El on our bus trip to the Famous Sammy’s Roumanian Steak House. Please plan to be at the Temple by 5:30 PM, our bus will leave soon after. 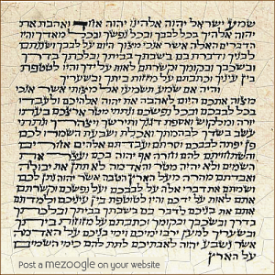 If you work in New York, not to worry, just meet us at the restaurant at 7:30 PM, and you can ride back to the Temple in our bus. To entertain us, is the one, the only Dani Luv, who is an Israeli singer, comedian and musician and has been at Sammy’s for about 20 years. He’s an all-around entertainer who sings Jewish songs along with classic standards, from Frank Sinatra to Louie Armstrong, and Dani does the most amazing impersonation of voice and trumpet you’ve ever heard. Don’t wait, RSVP to Andy Baron ASAP. His email address is: Ambaron@comcast.net. The price for the bus, the food, entertainment, tax and tip, is only $80 per person. Don’t wait, the bus will fill up quickly.